Hit the road on Saturday 30 march to see the tiny Gippsland town of Jindivick become a thriving culinary destination for one day only, as part of the 2019 Melbourne Food & Wine Festival presented by Bank of Melbourne. Melbourne restaurants, cafés and bars are collaborating with local Gippsland culinary stars, producers and winemakers to bring all the trappings of a heritage country Victorian streetscape to life - from the butcher's shop and green grocer to milk bar and Chinese restaurant. Carousel rides, face painting, barn dancing and many more activities will keep the kids entertained, while live music will keep toes tapping into the night. Following recent bushfires that have affected the local community, Melbourne Food & Wine Festival is supporting an appeal to raise funds for Gippsland Emergency Relief Fund. The appeal will be launched by chef Alejandro Saravia (Farmer's Daughters and Pastuso) on the opening night of River Grazew, the popular event which sees the south bank of the Yarra River transformed into a food and wine lover's playground from 22-24 March. 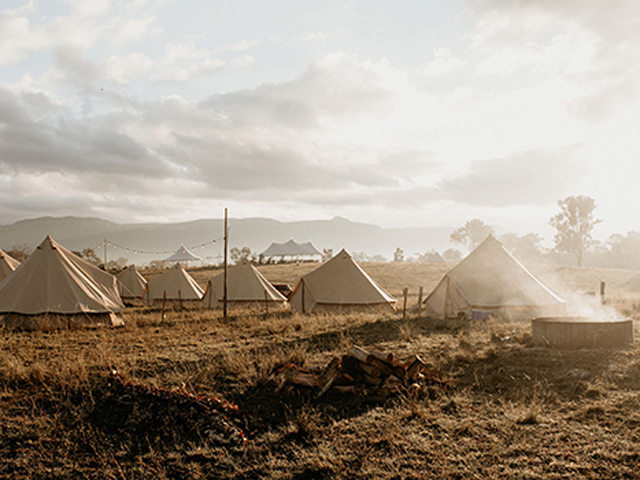 On Friday 22 March, Saravia will bring a taste of Gippsland and its producers to the city as he hosts a Victorian campfire-style barbecue in collaboration with Gippsland Natural at River Graze. Ten per cent of all new ticket sales to The Village Feast will also be donated to the Fund, with additional fundraising opportunities at The Village Feast itself. Taking up the role of The Butcher at The Village Feast is one of Melbourne's finest butchers, Troy Wheeler (Meatsmith Specialty butcher & Wine Merchant). Working with legendary local farmers O'Connor Beef and renowned pork from Katy Brown's Glen Eyrie Farm (who used to own the butcher shop in Jindivick! ), Troy will spin a contemporary riff on country classics like Steak Diane, pork schnitzel and the ultimate mixed grill. Lee Ho Fook chef Victor Liong is recreating The Chinese Restaurant of Australia's past for The Village Feast. Dive into sweet and sour pork, prawn toast, beef short rib and black bean, roast duck and satay chicken, all made using Gippsland meats. Carlton watering hole The Lincoln will give Jindivick The Pub it never had. Appropriately, they'll be pouring Sailors Grave beers, brewed in East Gippsland in the abandoned Orbost Butter and Produce Factory. Have your beer with a serve of the pub's fish and chips, made with fish from Gippsland's Corner Inlet. At The Weekly Times Milk Bar, take a break and enjoy an old school milkshake or a waffle cone of ice cream – all made using Gippsland Jersey's beautiful milk. The Cow in the Paddock sundae - their take on a Frog in the Pond - represents the dairy farm and Gippsland landscape, with crushed chocolate biscuits as soil, Prom Coast vanilla ice cream made with Gippsland Jersey premium cream and milk, toasted green coconut, hot chocolate fudge, whipped Jersey cream and a few lazy cow candies. Relive afternoons spent poring over lolly jars at The Lolly Shop. Filled to the brim with sweet treats made by hand in Gippsland, Jaci Hicken (Jacican, Mirboo North) is famous for her berry liquorice made with real fruit from Sunny Creek Organic Berry Farm, milk bottles made with Gippsland Jersey milk and musk sticks twisted by hand. Tiny Korumburra bakery Tamsin's Table Cakeshop is bringing its treats to the main street of Jindivick for the day at The Bakery. Choose from a buckwheat sponge with strawberries, lemon, rosemary and polenta slice, or classic chocolate cupcakes - or perhaps just a glass of Butterfly Factory milk with a biscuit. For those more savoury-minded, Udder & Hoe will be serving up their sausage rolls and pies. Gippsland's Loch Brewery & Distillery is partnering with Melbourne bar Bad Frankie at The Dispensary, where they'll put the region's spirits in the spotlight with cocktails like the Floradora - Loch gin, fresh lime, crème de framboise liqueur and ginger beer. Loch's gins are crafted at a solar-powered distillery 50 kilometres south-west of Jindivick. At The Bottle Shop and Wine Bar, Melbourne's favourite bottle shop Blackhearts & Sparrows is taking over the shuttered general store and turning it into the town bottle shop, where they'll be serving up their picks of Gippsland wines to enjoy at The Village Feast or to take home as a memento of the weekend. Patrick Sullivan and William Downie are two of Australia's best-known natural winemakers, as well as Gippsland residents. Teaming up with mate David Moyle (Longsong), they're turning a hidden back block into Bill & Pat's Dive Bar, an intimate alfresco wine bar where they'll serve their own wines while Moyle dishes up grilled flatbreads topped with produce from Sullivan and Downie's farms.